Many noble souls loved Saint Philomena and consecrated their spirit to her for the whole of their life. The one who distinguished himself most was the Curé of Ars. After his death, a zealous priest, Father Louis Petit, dedicated his whole life to making the young Saint well known and loved. 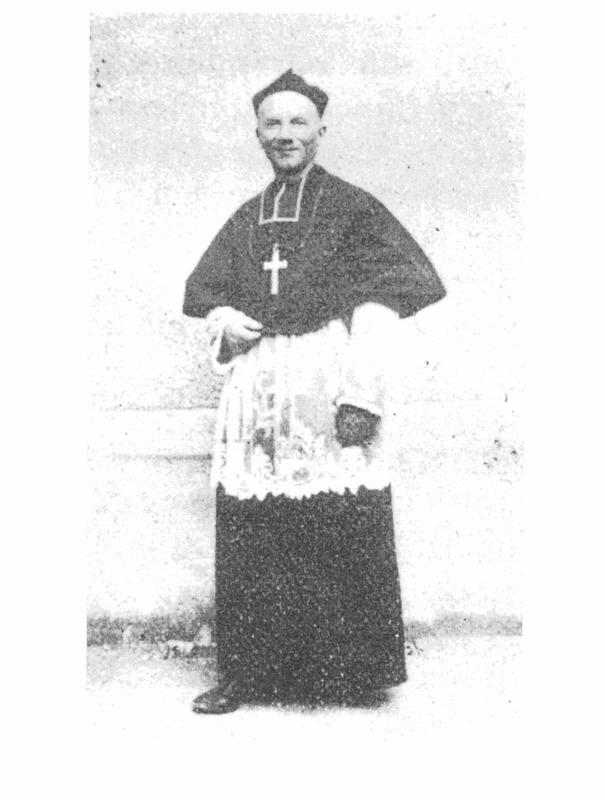 He was ordained in 1879 and two years later joined the Congregation of Saint Vincent de Paoli, where he was director of the Messager de Sainte Philoméne until his death. The purpose of his life had been the spreading of the devotion of Saint Philomena and he created a center from which to radiate it. In the Parisian district of High Vaugirard, he built the lovely chapel of Saint Philomena in Rue Dantzig. From here his written work and his Messager reached France and the rest of the world. In 1883 he received the approval of the Cord of Saint Philomena from the Sacred Congregation of Rites and spread its devotion through his periodical. Louis Petit also had the inspiration to found the Work of Saint Philomena, with the intention of giving Christian education to the working classes. He joyfully witnessed this pious association become a Universal Archconfraternity with an official act of Pius X on May 21, 1912. The first century of the finding of Saint Philomena’s bones was solemnly celebrated in Rome in 1902. He had the honor of closing these celebrations with a sung Mass. When the Abbot Petit came to Mugnano to venerate Saint Philomena in 1883 and 1902, he uses the wonderful missal donated by Pope Leo XIII for the celebration of the Sacred Mass. He died in Paris in 1914, full of merits towards our Saint whom he deeply loved and venerated. Keeping in mind the Philomenian message of the Sanctuary of Mugnano, the precious periodical spread the devotion toward the glorious Virgin and Martyr all over the world. Following the footsteps of the venerable Father Petit and under the guidance of the highly esteemed Rector Msgr. GennaroIppolito, the Sanctuary published the bulletin “The Voice of Saint Philomena.” On 10 February 1884 in Paris, Father Petit himself, with the blessing and approval of Cardinal Giubert, founded the Confraternity of Saint Philomena, also known as the Work of Saint Philomena, which still today, following the directives of the Sanctuary of Mugnano, spreads the devotion of Saint Philomena all over the world. The Messenger of Saint Philomena was revived by Msgr. Giovanni Braschi, Rector of the Sanctuary. It was written and published in Scotland by Marie Burns, Director of the Archconfraternity, Michael Malley R.I.P. who had served the devotion to the Saint in Scotland for the previous 13 years and realized by benefactor Rosemary Campbell of Scotland. It continued in 2004 to be published in Italy. Leo XII, with decree of the Sacred Congregation of Rites, on March 15, 1826 granted only the celebration of the solemn Mass de CommuniVirginum et Mart. In the day of Saint Philomena’s feast, in her Sanctuary of MugnanodelCardinale, as long as it was not a fixed Sunday occurring on the Office Double of First class. Gregory XVI, with decree of September 6, 1834, granted the singing of the Mass even on a Sunday, as long as the feast falls on August 10th, day of the Translation of the Saint’s body. 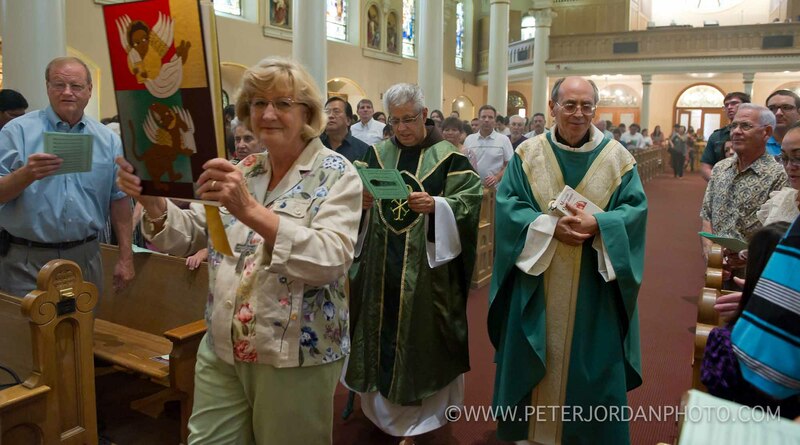 The Sacred Congregation of Rites, with decree of September 6, 1834, granted to the secular and regular clergy of the Diocese of Nola the possibility to recite, on August 11th, the Office with the Mass of de Comm. Virg. et Mart., primo loco with the Fourth Lesson proprius in honor of Saint Philomena Virgin and Martyr. Pope Gregory XVI on January 30, 1837 approved such decree. Gregory XVI, with decree of the Sacred Congregation of Rites, on March 16, 1839 grants the clergy of Mugnano to recite the Office of Saint Philomena V. and M. on her feast with double major rite. Gregory XVI, with decree of the Sacred Congregation of Rites, on January 1, 1841 promotes the Office of Saint Philomena Virgin and Martyr to double rite of second class without Octave in her own Church of Mugnano. Pius IX, on the request of King Ferdinand II of Bourbon (fig. 17) in 1854 proclaims Saint Philomena second Patroness of the Kingdom of the Two Sicilies, where the devotion toward the glorious Martyr is widely spread. Pius IX, on January 11, 1855, approves the decree of the Sacred Congregation of Rites, granting the clergy of Mugnano the new Office with its own Mass in honor of Saint Philomena V. and M., with the double rite of second class. 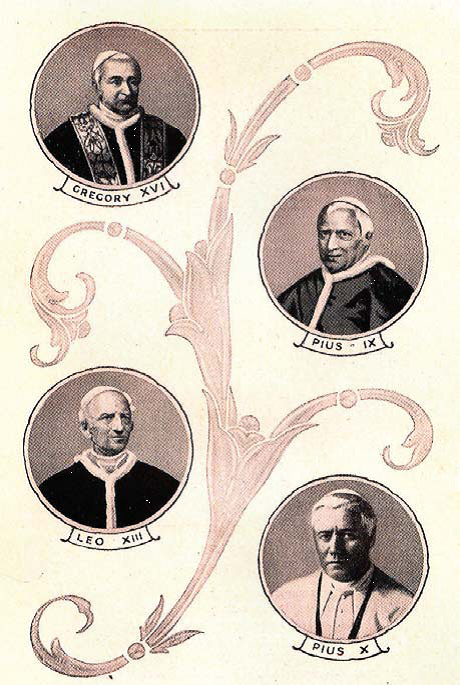 Pius IX, on January 15, 1857, approves the decree of the Sacred Congregation of Rites, on request of Mons. 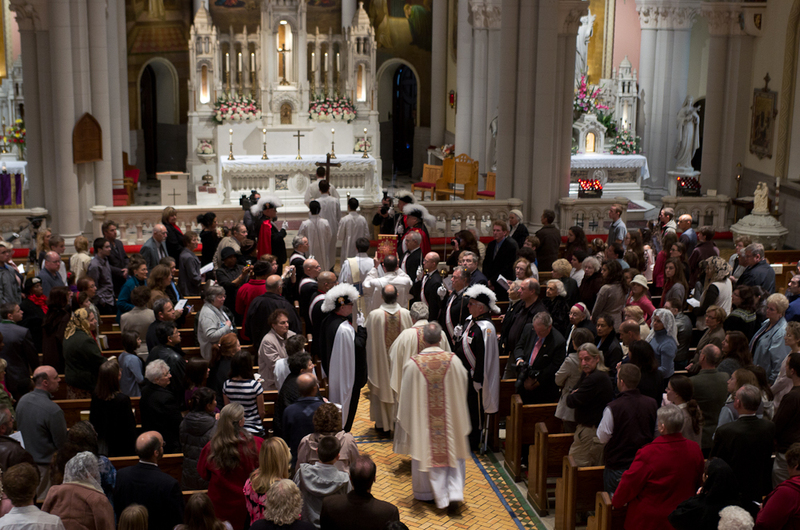 Joseph Formisano, Bishop of Nola, extending to the secular and regular clergy of the diocese of Nola the concession to celebrate with the double minor rite the proper Office with the Mass in honor of Saint Philomena V. and M. already approved and granted to the clergy of Mugnano and other dioceses. 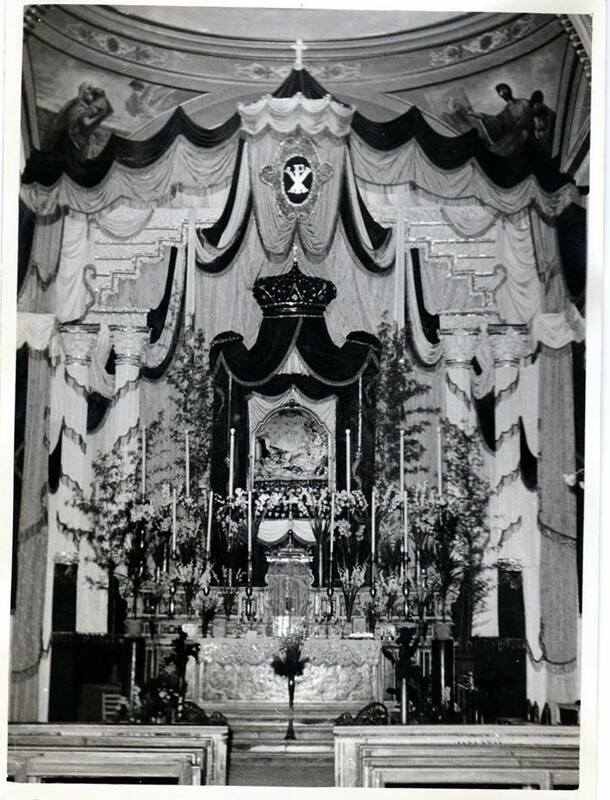 Pius IX, on April 15, 1858, approves the decree of the Sacred Congregation of Rites that grants the foreign priests who go to Mugnano to visit the Sacred Body of Saint Philomena, the indult to celebrate once only the Saint’s votive mass at her altar, although it would require the Office of double rite, excluding the double rite days of first and second class, the holidays, the vigils and the privileged octaves. Pius IX, with Brief Pontificate of December 9, 9, grants temporarily to the Rector of the Sanctuary of Saint Philomena in Mugnano the privilege to use the pontifical insignias to accomplish all the sacred functions in the Sanctuary. Leo XIII, on January 14, 1896, grants the Patronage Feast of Saint Philomena. Leo XIII, with Brief Pontificate, grants the privileged altar in the Sanctuary of Saint Philomena. 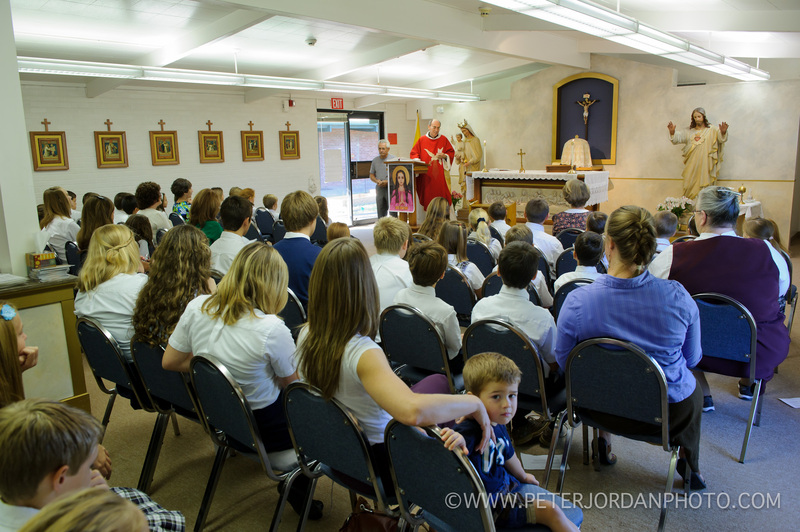 Leo XIII, promotes the feast of Saint Philomena to second class rite for the whole Diocese of Nola. Leo XII, with re-script of the Sacred Congregation of Indulgence, on May 10, 1826, declares the altar of Saint Philomena as daily privileged. Gregory XVI promotes Saint Philomena to Patroness of the Living Rosary. Pius IX more than once grants indulgences, both plenary and partials, and other privileges to the Sanctuary of Saint Philomena with proper decrees bearing the following dates: 16.10.1849; 4.5.1852; 4.1.1853; 31.12.1853; 18.3.1859; 26.6.1863; 3.7.1863. Leo XIII, on December 15, 1883, approves the devotion of the “Cord of Saint Philomena” and on April 4, 1884 he enriches it of precious indulgences. Leo XIII, on September 24, 1889, grants to France alone, the title and privilege of Archconfraternity to the work of Saint Philomena. Pius X, on May 21, 1912, extends to the whole Church the Archconfraternity of Saint Philomena. This Pius association is proclaimed Universal Archconfraternity. 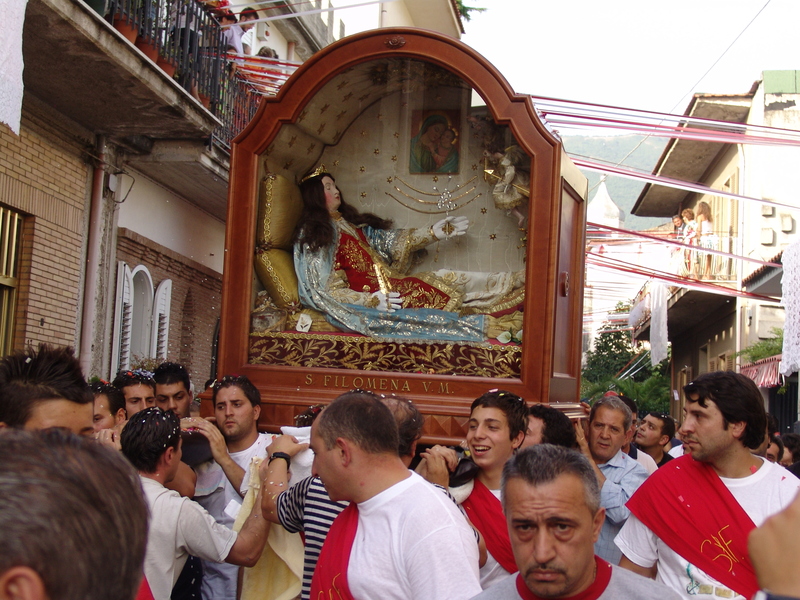 In the Brief Apostolic, with regard to the historical authenticity of Saint Philomena, ordains that: “The current statements are and remain always fixed, valid and effective; in this way it has to be regularly judged; and if it is proceeded in another way, it will be null and void, whatever its authority”. Oct 1871 – the Abbot Thédenat, of the dioceses of Paris, received the inspiration to start the movement of the national French pilgrimages to Ars and to Our Lady of Salette (fig. 25) while praying on the tomb of the Venerable J.M. Vianney, in proximity of the altar of Saint Philomena. Aug 1872 – first national pilgrimage to Ars and La Salette, promoted by the Abbot Thédenat. Dec 15th, 1883 – Leo XIII approves the pious practice of the Blessed Cord of Saint Philomena and grant indulgences to whoever carries it. Oct 16th, 1887 – Leo XIII blessed the flag that Father Louis Petit used in the pilgrimages to Paray le Monial, Ars and La Salette. 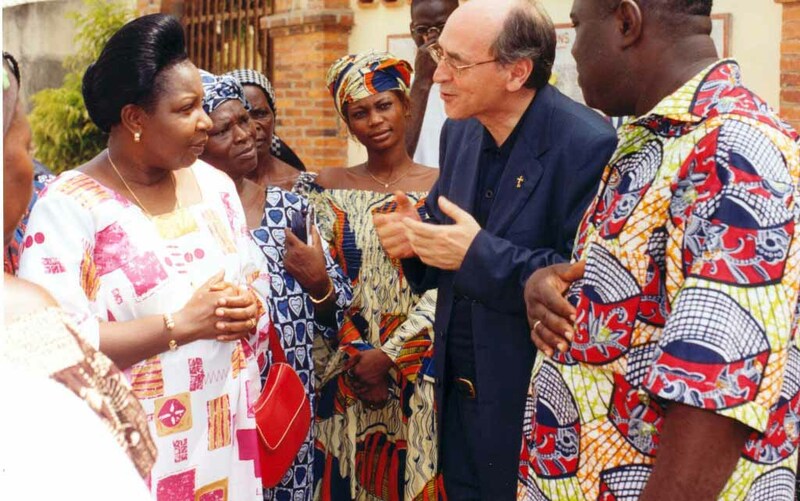 Sept. 24th, 1889 – Leo XIII grants France the title and privilege of Archconfraternity for the work of Saint Philomena. Jan 8th, 1905 – Saint Pius X affirms that “the greatest argument in favour of the devotion of Saint Philomena is the Curate of Ars” (cfr. – J.M. Martinez, Luz y fuerza). June 14th, 1906 – Pope Pius X personally writes a blessing for the members of the Work of Saint Philomena. May 21st, 1912 – Pope Pius X extends to the whole Church the Archconfraternity of Saint Philomena. 2000 – Marie Burns of Glasgow Scotland UK is appointed acting Director General of the Archconfraternity by the Rector Msgr. Braschi. 2000 – First Archconfraternity of Saint Philomena meeting in Navarre, Ohio, USA, coordinated by Rector Msgr. Braschi and Marie Burns of the Philomenian Center of Glasgow (Scotland, UK) hosted by Fr. Robert Gibas. May 18th – 25th 2001 – first official pilgrimage to stay in the newly resorted Pilgrim Center, within the Sanctuary, from Scotland UK, included the young, old, disabled and children. Led by Fr. Peter Lennon of Glasgow Scotland UK, a great promoter of St. Philomena and the Curé d’Ars. Welcomed by the Rector of the Sanctuary Msgr. Braschi and the Mayor of Mugnano along with prestigious council committee members. 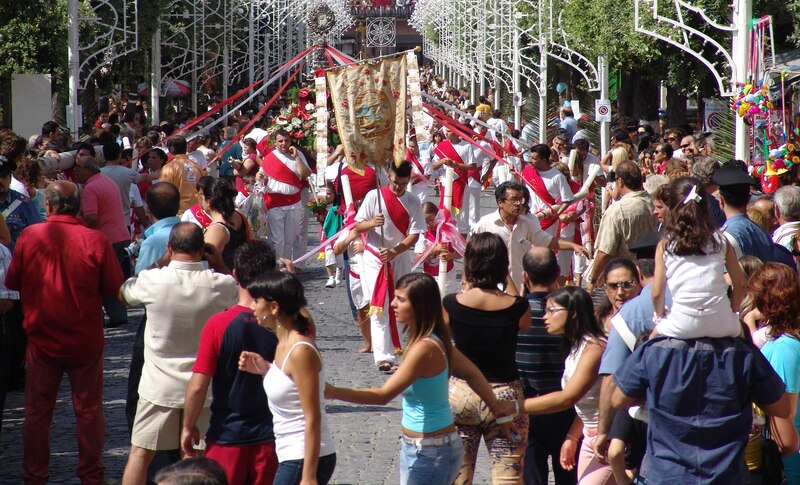 2002 – celebration of the bicentenary for the finding of the Sacred Body of Saint Philomena. Pilgrimage to Priscilla’s catacombs in Rome – promoted by the Rector of the Sanctuary and with the participation of the International Centers and of the citizens of Mugnano. 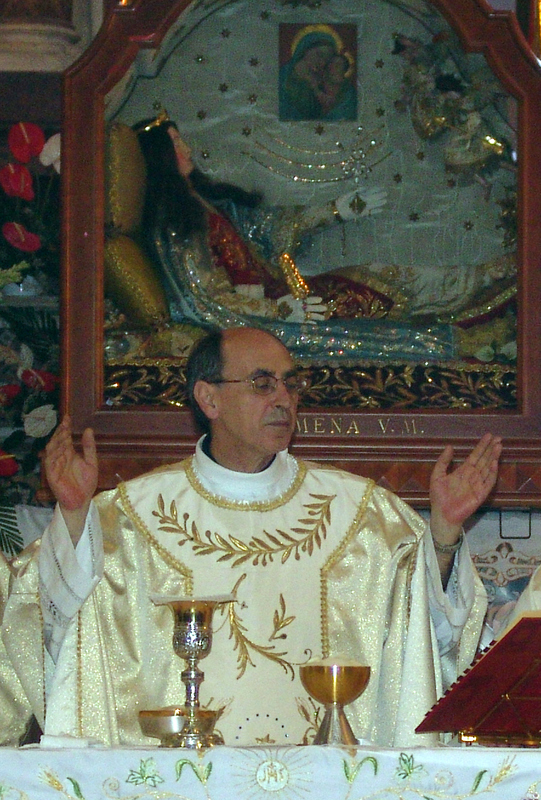 April 9, 2005 – Conference of Philomenian Studies promoted by Msgr. Braschi, Rector of the Sanctuary and coordinated by the Prof. Fr. Giovanni Ariano. Held in the Basilica of St. Silvester in Rome above Priscilla’s catacombs. Participation included various heads from the International Philomenian Centers and well known scholars. Discussed the “Philomena Question” in knowledgeable, lucid, and exhaustive detail. Conference presenter and webmaster reported that the Sanctuary’s website was receiving more than a million visitor hits a month, thus demonstrating the great renewal in the devotion to Saint Philomena in the 21st Century.